‘BIP’ Stars Adam and Raven Are Dating Are Still Dating! From rose ceremonies to reality! 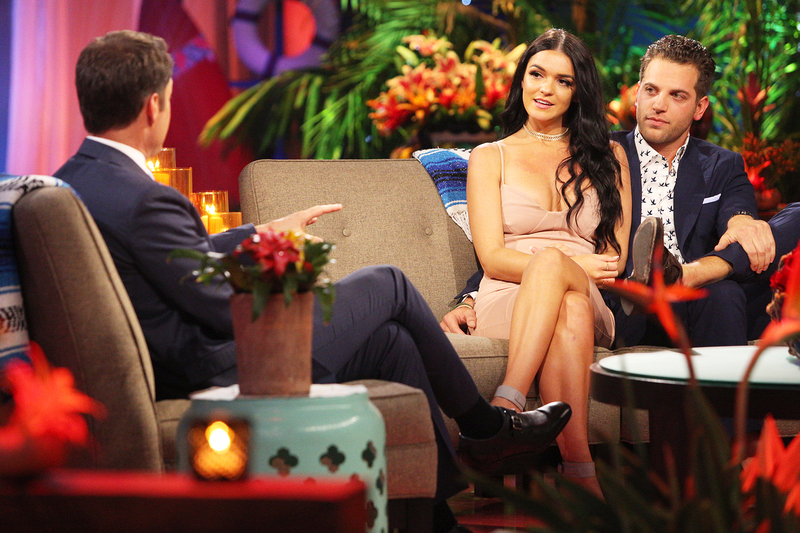 Bachelor in Paradise couple Raven Gates and Adam Gottschalk are still together post-Paradise, Us Weekly can exclusively confirm. The reality stars started dating on the ABC dating spinoff after meeting in Texas during the two-week production halt. Although Gottschalk, a castoff from Rachel Lindsay’s Bachelorette season, entertained a short-lived romance with Bachelor alum Sarah Vendal during filming, the real estate agent ultimately found love with Gates, Nick Viall’s Bachelor runner-up. A source tells Us that the duo is happily dating and have enjoyed romantic weekend getaways together. Another insider shared that the Arkansaw native’s parents met her new beau and the couple plans on going to Dallas soon to meet Gottschalk’s parents. Although neither Gottschalk nor Gates have confirmed their relationship, they’ve shared romantic photos of their Paradise dates on Instagram. The pair was also spotted bowling earlier this week in Los Angeles with other BIP costars. The Bachelor in Paradise live finale airs on Monday, September 11 at 8 p.m. PT.